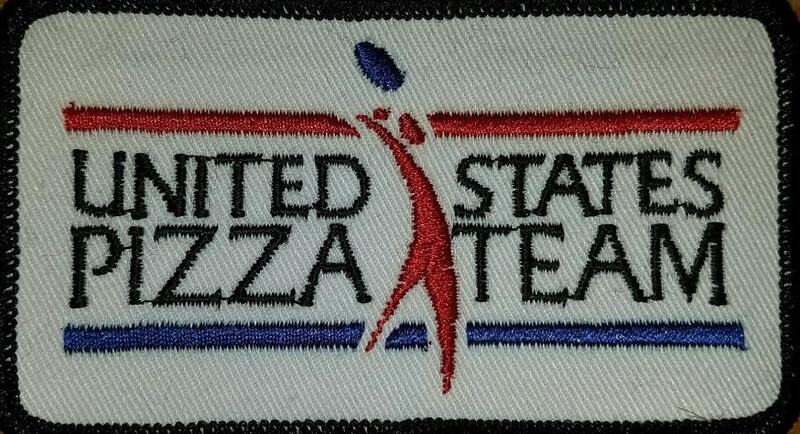 Granada, Spain, October 8, 2018—Culinary Coach of the U.S. Pizza Team (USPT) took second place in the Spanish Pizza Championship, held on October 8 in Granada, Spain, while four other USPT members finished in the top 10. 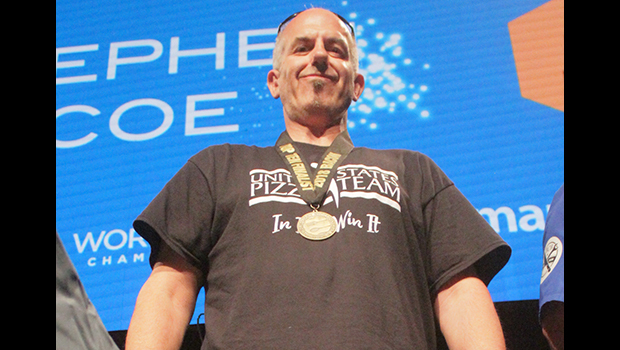 Gino Rago of Panino’s Pizza in Chicago took home 2nd place in the Pizza Classica division. 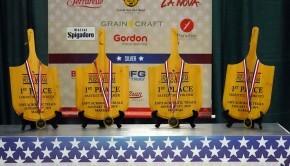 Michael LaMarca (Master Pizza, Cleveland, Ohio), Jason Samosky (Samosky’s Homestyle Pizzeria, Valley City, Ohio) and Dave Sommers (Mad Mushroom, West Lafayette, Ind.) placed 4th, 7th, and 10th respectively, also in the Classica category. Missy Green took 3rd place in Freestyle Acrobatics. 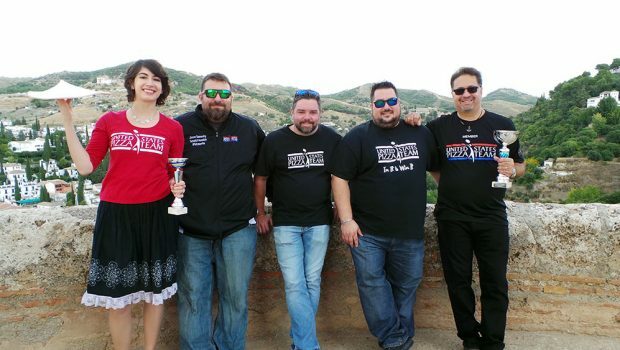 32 competitors from Spain, Italy and other countries participated in the 4th annual “Pizza por Pasión” competition organized by Antonia Ricciardi, President of the Università di Pizza Italiana nel Mondo. 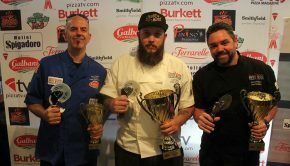 Ricciardi’s pizza association trains pizza professionals to open pizzerias and to compete in national and international pizza competitions. 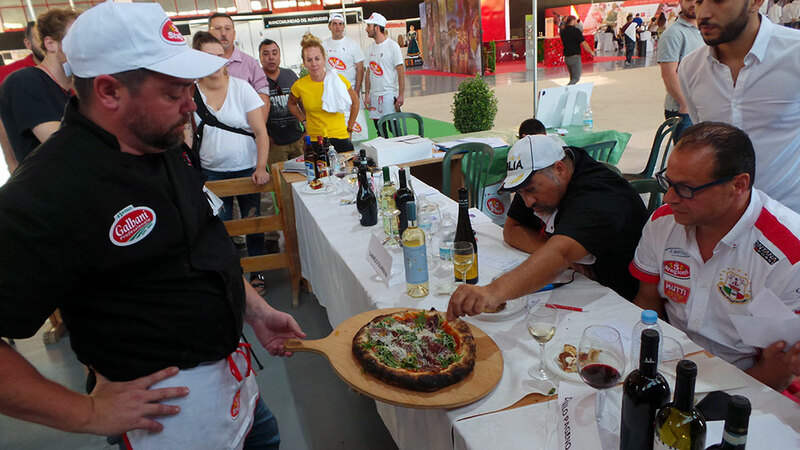 The competition took place within the regional trade show, Sabores de Nuestra Tierra, open to both consumers and professionals. 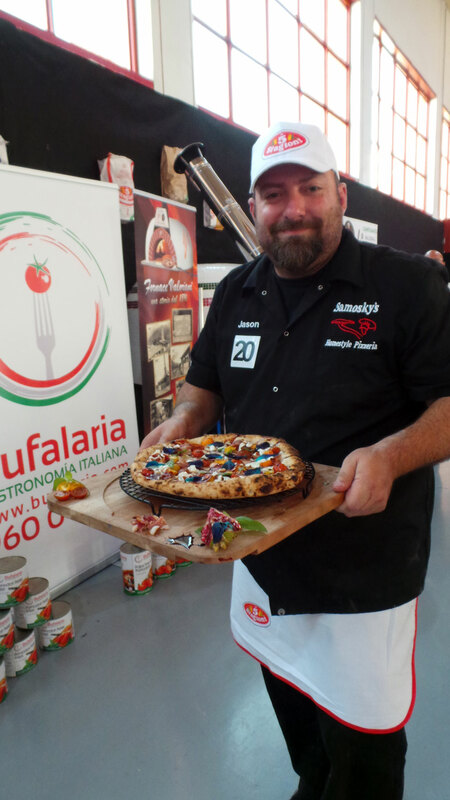 Rago took home the silver medal with his Pizza Terrenal. Rago’s crust was made with part hemp seed flour from Molini Spigadoro, topped with Galbani American dry-aged mozzarella, homemade pork fennel sausage, local guanciale, yellow cherry tomatoes, homemade arugula pesto and finished with pink Himalayan sea salt. 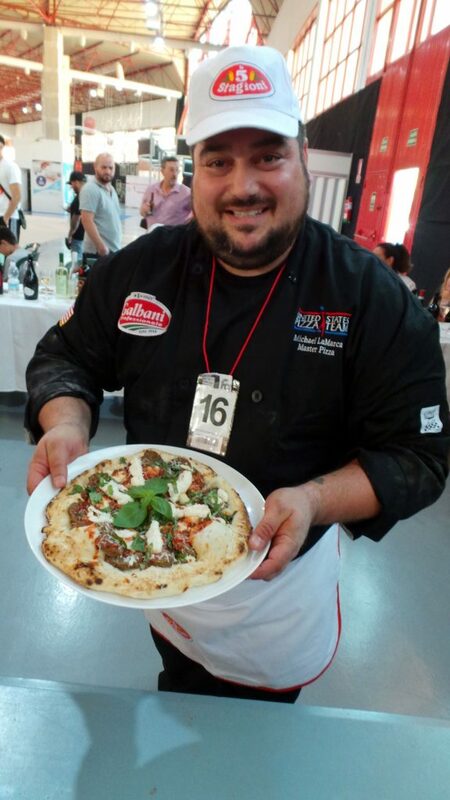 Michael LaMarca, who was points away from taking 3rd, made his Sunday Meatball Pizza, reminiscent of big Sunday meals with his extended family. 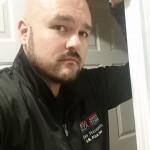 Jason Samosky placed 7th in Spain with his Smoked Caprese Pizza, which he finished off with beautiful purple edible flowers and a pomegranate reduction. 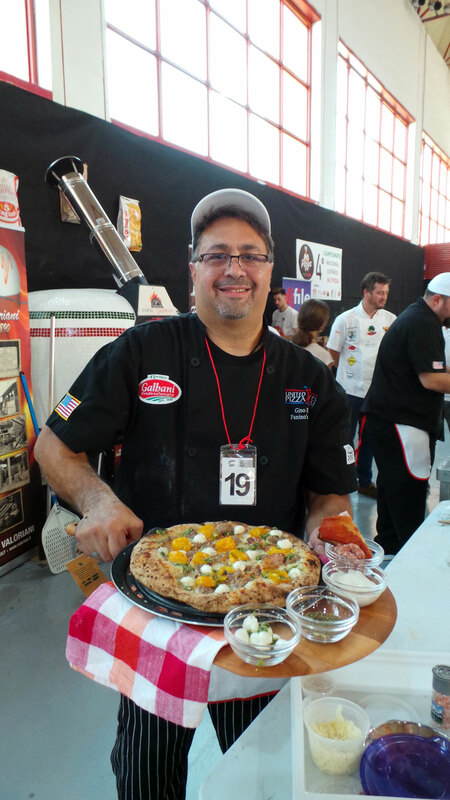 Dave Sommers came in 10th with his pizza La Balboa topped with homemade sausage, arugula and honey from his family’s farm. 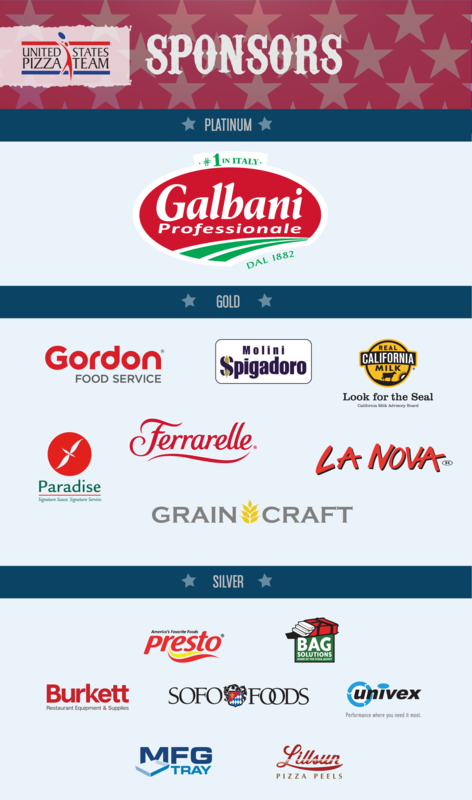 The U.S. Pizza Team is sponsored nationally by Galbani Professionale, Molini Spigadoro, Grain Craft, Ferrarelle, MFG Tray, Real California Milk, Gordon Food Service, LaNova, Paradise Tomato Kitchens, Burkett Restaurant Equipment and Supplies, Bag Solutions, Fontanini Meats, Lillsun, Univex, Presto Foods and Lloyd Pans. 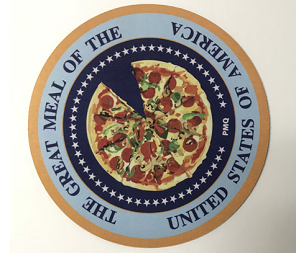 For more information about this event or the U.S. Pizza Team, contact Brian Hernandez at 662-234-5481 x129, brian@pmq.com, or visit uspizzateam.com.